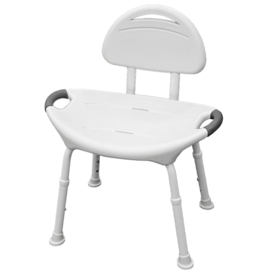 If you have an elder at home this shower chair or bath chair is an ideal addition to the bathroom to ensure safety and comfort. 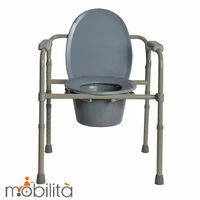 The comforta shower chair is a premium, aluminium frame, height adjustable bath chair. 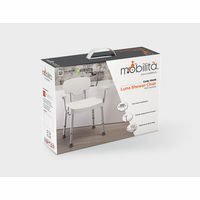 It allows tool free assembly, has anti-slip hand grips and ergonomic backrest. 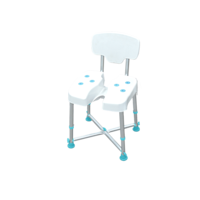 If you have an elder at home this shower chair or bath chair is an ideal addition to the bathroom to ensure safety and comfort.The comforta shower chair is a premium, aluminium frame, height adjustable bath chair. 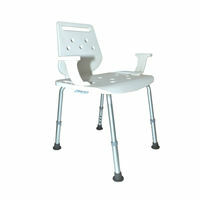 It allows tool free assembly, has anti-slip hand grips and ergonomic backrest.